Over the last month I’ve been writing a series of articles focused on using credit cards to earn air miles for airlines which are perhaps slightly less flown by the majority of our readers. Today we’ll be taking a look at the alternative options to an Alitalia credit card which allow you to earn Alitalia MilleMiglia miles on your day-to-day spending. For the small number of regular readers based in Italy (a big shout out to you and thank you for continuing to read Thrifty Points) you’re in luck, Alitalia offer a grand total of 5 different Alitalia American Express credit cards (3 personal & 2 corporate). Strangely, like the American Express Membership Rewards cards, these cards come in either Verde (green), Oro (gold) or Platino (platinum) versions. Interestingly the Green Alitalia American Express offers a 20% miles discount on all reward flight bookings. I haven’t seen a benefit like this offered on any other international American Express and quite frankly it looks great. Reading the small print it’s only available for the owner of the card and does not apply to other companion tickets booked by the owner. If British Airways were to offer something similar, I’d save somewhere in the region of 100,000 Avios points a year. Whilst the benefit is likely to be less for most people, I struggle to understand why it’s not also offered with the Gold and Platinum versions of the card. So what’s available for UK residents seeking an Alitalia card? 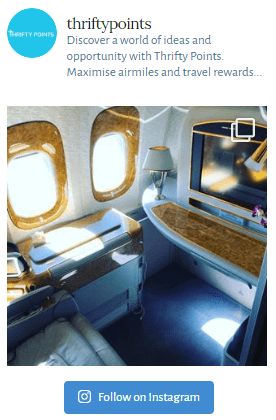 Whilst there’s no specific branded Alitalia credit card, it’s still more than possible to earn Alitalia MilleMiglia miles through the Alitalia American Express Membership Rewards partnership. 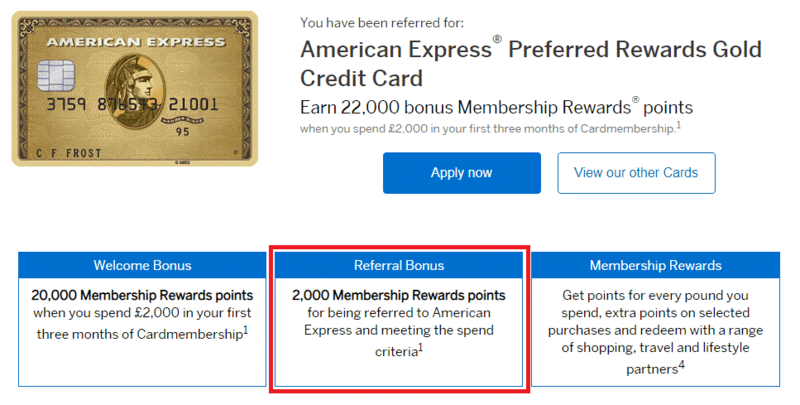 Amex Membership Rewards points are some of the most flexible loyalty reward points in the UK market. Alongside the ability to transfer to 12 airline partners (including Alitalia), Membership Rewards points can be used for everything from hotels to Amazon vouchers and can even be offset against your credit card statement at a rate of 0.45p per point – this would be a worst-case scenario with most airline redemptions achieving somewhere in the region of 1p per point. The 3 personal Membership Rewards cards offered by American Express are (strangely) named exactly the same as the Alitalia American Express credit cards – Green, Gold and Platinum. Let’s take a look at a summary of each below. As we can see, besides the ability to earn 1 point for every £1 spent the Green card offers very little and as such in our opinion should be avoided. This leaves the American Express Gold card which we’ve reviewed in full here. The card is free for the first year and offers a sign-up bonus of 20,000 points when you spend £2,000 in the first 3 months. This can be increased to 22,000 points using this link. With a strong sign-up bonus, no fee for the first year, 2 free lounge passes and a decent ongoing earnings rate which can be transferred to Alitalia at a rate of 1 to 1, it’s no surprise the Amex Gold is voted our best alternative Alitalia credit card. Why collect Alitalia MilleMiglia air miles? 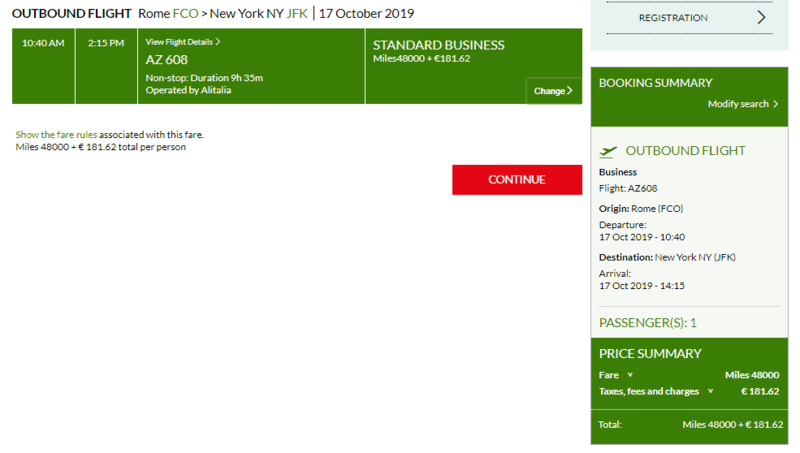 In my eyes the best rewards redemption with Alitalia is the Rome to New York business class redemption at a reasonable 48,000 miles and €181 in taxes for a one-way flight. This compares to the £350 in taxes and a similar number of miles if flying with British Airways from London. Don’t forget if you’re based in the UK you’d need to reposition to Rome which isn’t likely to be cheap. As such this redemption only really makes sense if you find yourself in Italy and need to fly to the states. Even then, you’re likely to be better off travelling via Madrid and flying with Iberia who only require 34,000 points and €91 in taxes for a Madrid to New York flight….